Hi everyone! 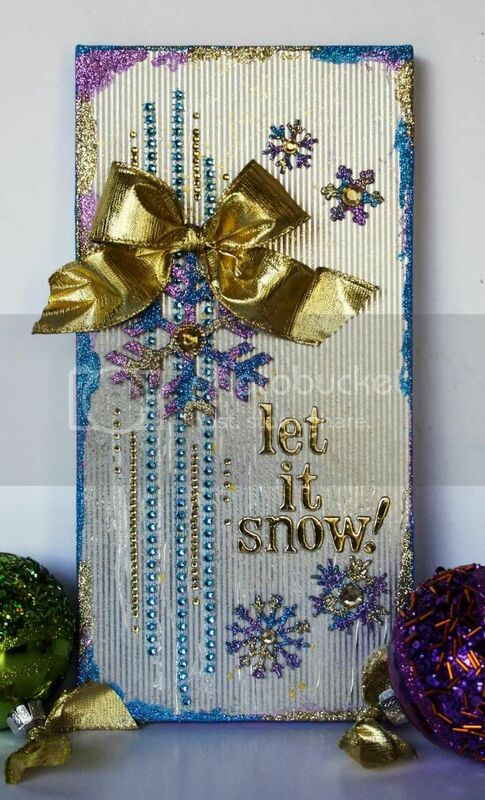 It's Robbie today with a little canvas that I made using some of the new Winter release chipboard pieces. I have been into purple and blue lately because my daughter's apartment is decorated primarily in purple, blue and gold. I love these non traditional colors for Christmas projects and especially for winter projects. 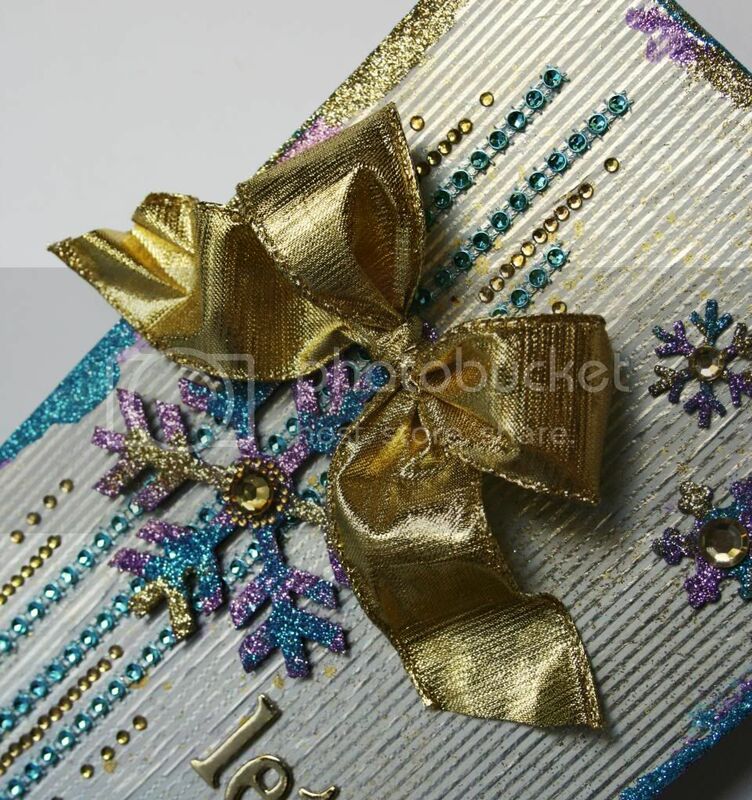 The background of this 6x12" canvas is covered with a piece of wrapping paper. I just used Mod Podge to adhere it, then gave it a light mist of Color Shine. The paper is silver and white, but I knew that I wanted to add gold as the primary metallic color. I really love the idea of using wrapping paper for things that will sit out during the holidays. In my case, I only buy what I love and what co-ordinates with my decor. You can see in the close-up that this is a really glittery project! Be prepared to get covered! 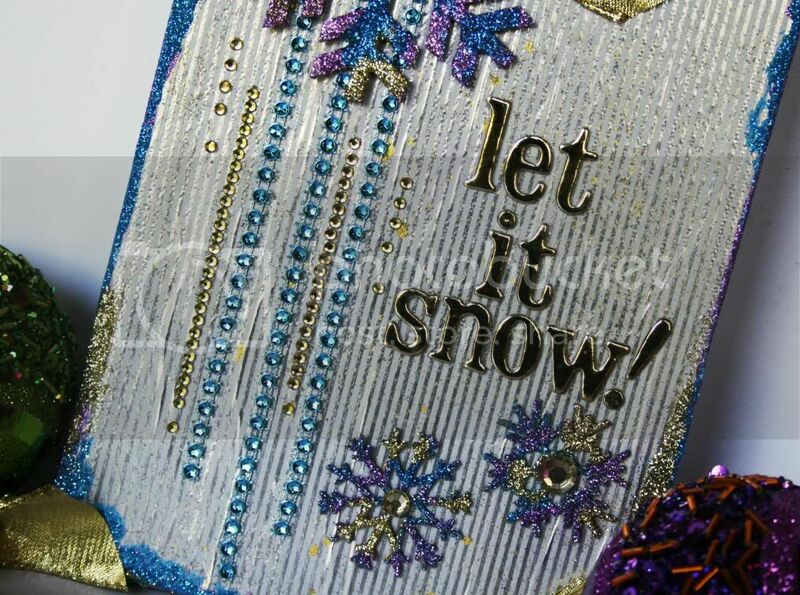 I first put purple glitter on the entire snowflake. After it was dry, I just took my paint brush and dabbed in a few places with glue and added the blue glitter. Repeat the same process for the gold glitter. I also did the edges the same way. I did use purple paint, but decided that the glue worked better. For the bling in the background, I just glued the blue trim down and then added adhesive jewels. I also added some jewels in the center of the snowflakes. 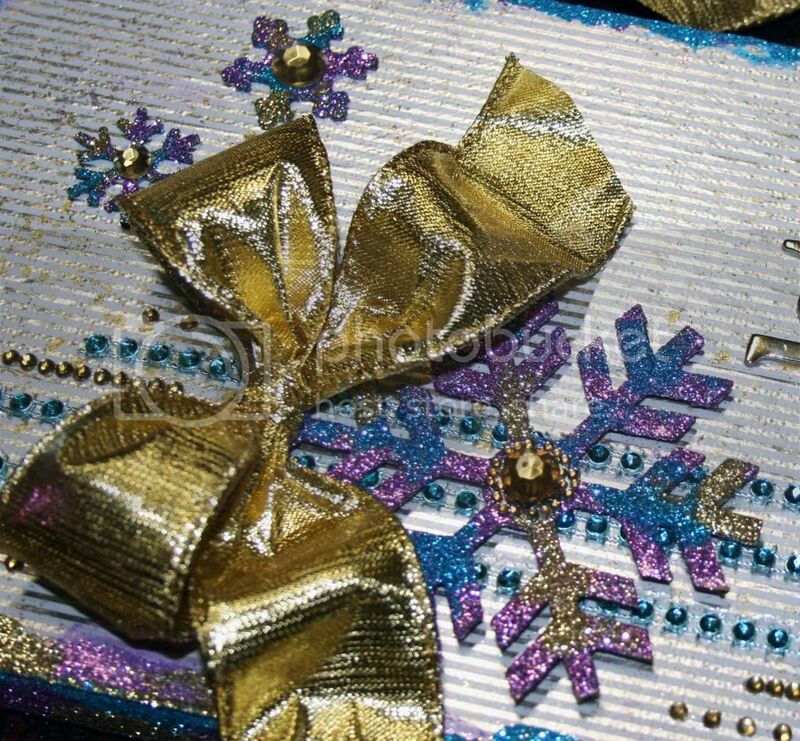 Finish the project off with a sentiment and a bow. Actually a really easy and quick little sign to set out during the winter. Tip: Since I am giving shopping tips for this post, I thought I would let you know that I picked up the trim at Michaels for $1. They have several colors in the $1.50 spot, but always dig a bit in the dollar ribbon bin. You never know what you might find. 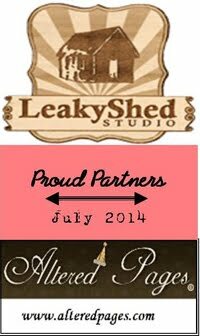 Of course, while you are shopping make a stop by the Leaky Shed Store! Thanks for stopping by and be sure to check us out on Facebook and share your creations! This is gorgeous!! LOVING the colors and the snowflakes!!!!! Robbie love the colors! This canvas is so festive and prety! This is just gorgeous Robbie!! !